Mitsubishi’s new crossover has been in the works for quite some time, and now it looks like we’ll be getting an official debut. The 2017 Geneva Motor Show takes place in March, and, following the teaser photo the automaker released not too long ago, that’s where we’ll see it live. Best of all, the new model won’t premiere as a concept vehicle, but rather as a production vehicle! The new compact crossover is both sporty and coupe-like. The teaser photo reveals the profile which matches the description pretty well. The C-pillar and beltline offer a look that’s nearly spot-on. The front end looks similar to the Outlander’s, due largely in part to the similar headlights. The utility vehicle will be slotted between the Outlander Sport and standard Outlander models. The Outlander Sport is expected to shrink and the standard Outlander will grow slightly between 2019 and 2020. The new model will likely arrive in the United States in early 2018. 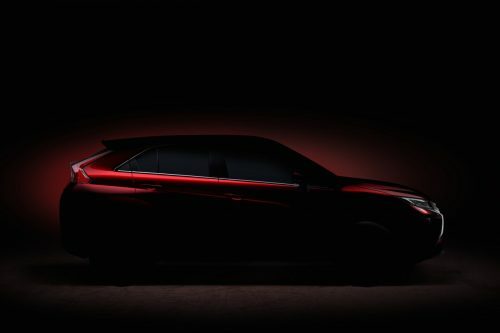 Keep an eye out for Mitsubishi’s new crossover at the 2017 Geneva Motor Show on March 7th. There’s no pricing available just yet, but knowing Mitsubishi, the compact crossover will be a true value. We here at Don Robinson Mitsubishi can’t wait for the official unveiling of the new Mitsubishi crossover.